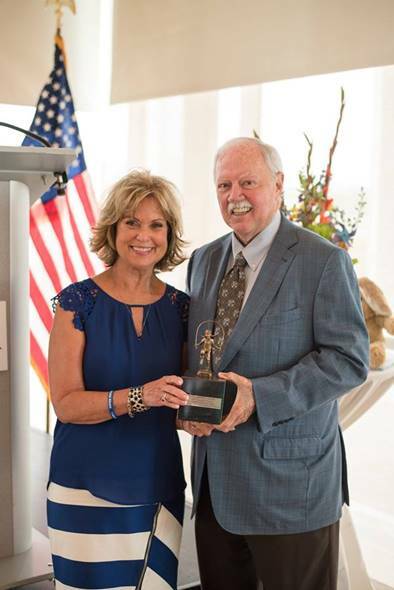 The Senator Percy Malone Child Protection Award was established in 2010 to honor the achievements of the Senator and his wife, Donna. Senator and Mrs. Malone have worked for years to pass laws and create legislation designed to end sexual and physical abuse and fight their devastating effects on our state’s youngest populations. For many years, the Senator served as the chair of the State’s Children and Youth Committee Task Force for Abused and Neglected Children. Greatly due to the efforts of Senator and Mrs. Malone, state funding has been provided for Child Advocacy Centers throughout Arkansas. They continue today to be true champions for children. The Percy and Donna Malone Child Safety Center opened its doors in 2015 in Arkadelphia, Arkansas to serve children in Clark County and surrounding areas. Karen Worley, Ph.D., is a clinical psychologist and professor in the Department of Pediatrics for the University of Arkansas for Medical Sciences. She has worked with children and families dealing with child sexual abuse for over 35 years. She received her doctoral training at Texas Tech University. She is the Director of the Family Treatment Program (FTP) in the UAMS Department of Pediatrics located in the Clark Center for the Safe and Healthy Families on the Arkansas Children's Hospital Campus. FTP provides treatment for families in which there has been sexual abuse. Dr. Worley is also Director of the Adolescent Sexual Adjustment Project, which provides outpatient assessment and treatment for adolescents who have sexually offended. Dr. Worley has been active on a number of state boards addressing child abuse issues, provides statewide training and consultation, and has sever publications on child maltreatment. Beverly, along with her husband, David, co-founded Restoration Ministries, Inc. dba Restoration Village in 1989 – a long-term housing for women and children in a crisis time of their life as a result of abuse. 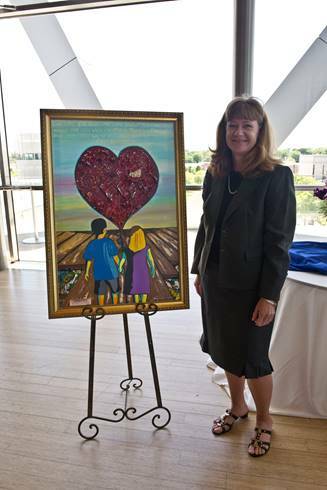 In 2000 she founded and became the Executive Director of The Children's Advocacy Center of Benton County. For 20 years Beverly facilitated sexual abuse seminars and support groups, and in 1994 wrote and printed, “Restoring the Wounded Soul Workbook” for use in support groups. 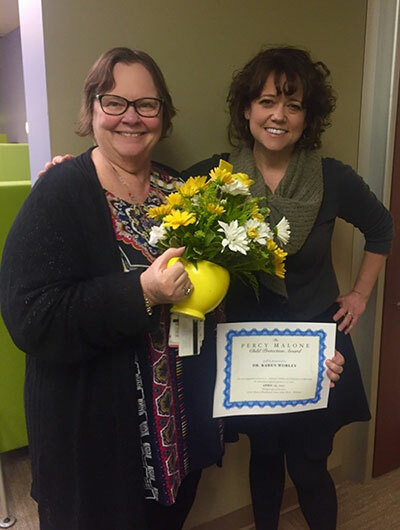 Beverly divided her time between the Village and the Children’s Advocacy Center of Benton County until her retirement from the CAC in July, 2015. She has also served as the Benton County Multidisciplinary Coordinator from 2001 until 2008 and as President of the Children’s Advocacy Centers of Arkansas. She was the Benton County Woman of the Year in 2000 and received the Advocate of the Year Award from the National Children’s Alliance in 2014. Daniel Shue received his undergraduate degree and JD from the University of Arkansas in Fayetteville. He began his career as an intern in the Prosecuting Attorney’s office in the summer of 1981. In September of 1983, Dan became a Deputy Prosecuting Attorney and continued his work there until December of 1996. After many years of being a prosecutor, Shue moved in to private practice at Fields, Tabor, Langston and Shue, PLLC, until 2002. He returned to the 12th District in 2003 as the Chief Deputy Prosecutor and in 2008 was elected Prosecuting Attorney. Dan and his wife Rita reside in Fort Smith, Arkansas and have 3 children. He has served on many boards including but not limited to: CASA of Sebastian County, Hamilton House Child Safety Center, and the Prosecuting Attorney’s Association. Carolyn Pollan received her undergraduate degree from John Brown University in Siloam Springs, Arkansas and her Ph.D. in education from Walden University in Minneapolis, Minnesota. Pollan served as a member of the Arkansas House of Representatives from 1975-1999. Her 12 consecutive terms deemed her the longest serving Republican and the longest serving woman in Arkansas history. Pollan is the co-author of Arkansas Act 824. This act empowered agencies such as DHS, State Police, and CAC’s to work together against child abuse in our state. Carolyn and her husband George have two children and four grandchildren. Dr. Farst received her undergraduate and medical school education at Texas Tech University and then moved to Arkansas for residency training in Internal Medicine and Pediatrics at the University of AR for Medical Sciences, and served as chief pediatric resident for one year after completing residency. While in private practice in NW AR following residency training, she became a volunteer medical provider at the Benton County Children’s Advocacy Center which eventually led her to pursue fellowship training in child abuse pediatrics as a specialty at Cincinnati Children’s Hospital. 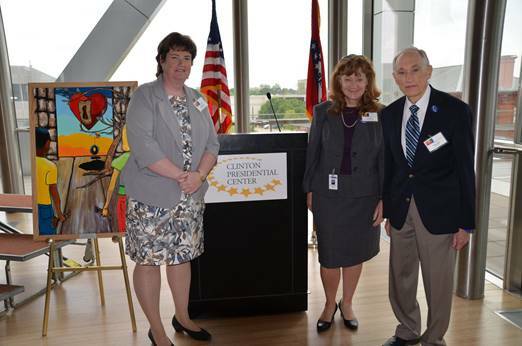 She returned to the Dept of Pediatrics of UAMS to work with the Center for Children at Risk in 2004. Her present duties include general pediatric care in the ACH emergency department, inpatient and outpatient medical evaluations for cases of suspected child abuse or neglect, medical education on child abuse topics, medical peer review to examiners at the children’s advocacy centers in Arkansas, and research within the UAMS Dept of Pediatrics on child abuse and neglect topics. 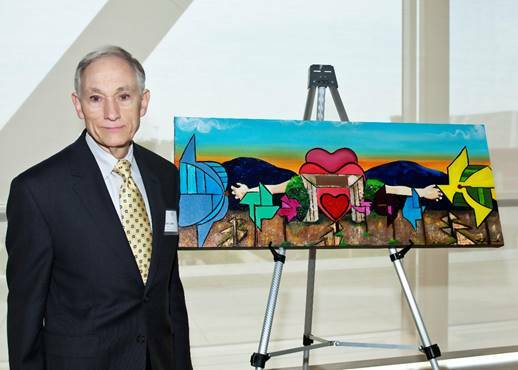 Dr. Farst became the first physician in Arkansas to be certified in Child Abuse Pediatrics by the American Board of Pediatrics and was elected to serve on the Board of Directors for the National Children’s Alliance in 2011. Lisa began her career as a foster care-protective services caseworker in 1983 in Pulaski County with Arkansas Social Services, which would later become the Arkansas Department of Human Services (DHS). Working full time, Lisa also attended law school at night. She clerked for Judge Ellen Brantley for one year. In December of 1990, Lisa graduated with high honors from UALR Law School. Lisa returned to DHS in 1991 as a staff attorney. Since that time, she has served in various leadership capacities including Interim Director of the Division of Children and Family Services and Interim Chief Counsel for the department. In 1996, Lisa was appointed Deputy Counsel for County Legal Operations overseeing a staff that includes 49 attorneys and 28 legal secretaries. She also serves as a departmental liaison for child welfare legislation. Much of what is written in today’s child maltreatment act and juvenile code has been authored by Lisa. She received Best of CLE recognition by the Arkansas Bar Association in 2000, and was the Office of Chief Counsel Employee of the Year in 1998. Lisa lives in Maumelle and has three adult children, two who are adopted and were foster children. 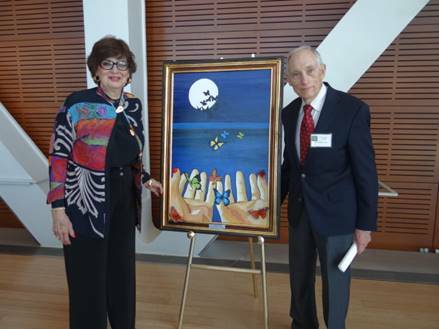 Dr. Jerry G. Jones was the 2011 recipient of the Senator Percy Malone Child Protection Award. A professor of pediatrics at the University of Arkansas for Medical Sciences, Jones has served as director for the University’s unique Center for Children at Risk program for more than 20 years. 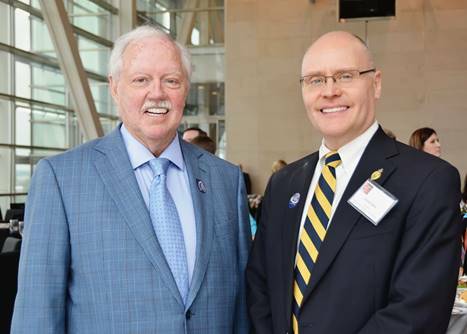 Jones was selected by the Arkansas children’s centers for his dedication to the medical evaluation and treatment of physically and sexually abused children, and for his innovation and management of additional service programs for them and their families.